A burglar managed to sneak into a bank in Darjeeling under the cover of darkness and lay his hands on Rs 4,000 in a much sought after denomination of Rs 100. 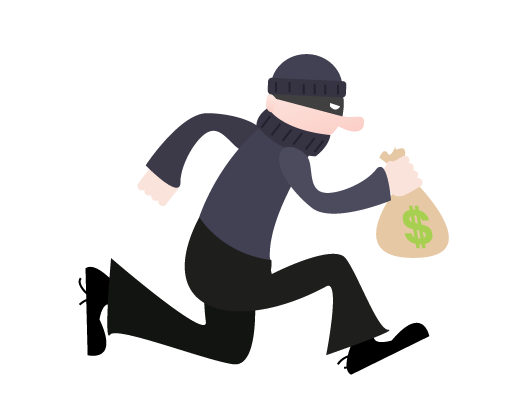 On the night of November 16, the burglar entered the Central Bank of India branch at Judge Bazar, about 45 minutes after the bank had called it a day. Even though he could not lay his hands on the bank's vault, which had the day's collection, he took away Rs 4,000 that the bank's cashier had kept in her drawer. The bank situated on the first floor does not have a night guard but is under the surveillance of eight CCTV cameras. The Rs 4,000 belonged to an employee of the GTA, who was a regular at the bank and known to the staff. "Since the customer had to go out for an emergency, the cashier kept the money that was brought for exchange in the drawer," said Satyabrata Samal, the senior manager of the bank. "Yesterday, the customer who had left in an emergency came back. The cashier searched for the money but when she did not find it, the staff thought she might have misplaced it or taken it home as it was a small amount," said Samal. It was only late today afternoon when Samal was checking the footage of the CCTV that he did notice some movement in one of the eight cameras. "At 11.54pm, one of the cameras showed a man moving with a torch towards the drawer," said Samal. The identity of the burglar is not clear. "The CCTV cameras goes on standby mode if there is no movement. Seven CCTV cameras were on standby mode as there was no movement," said Samal.